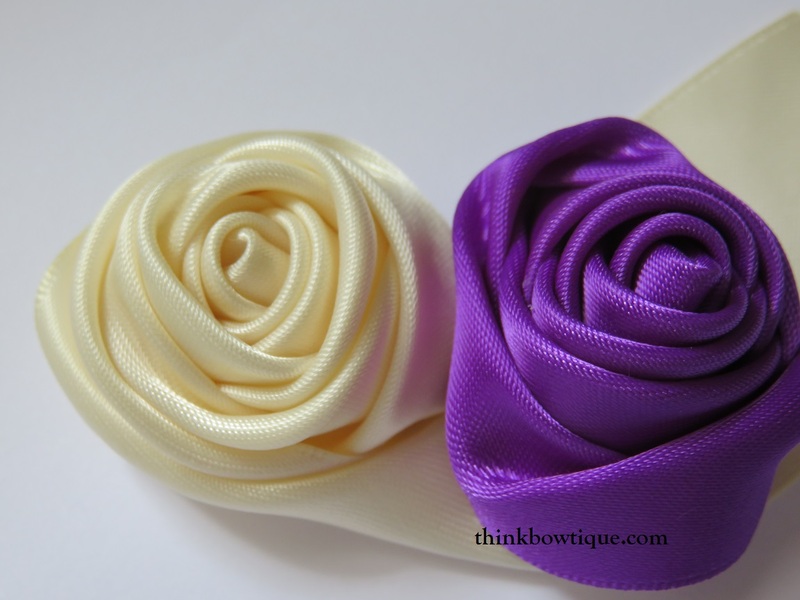 Satin ribbon rolled rosette are an elegant flower that can be used to make wedding bouquet. Create hair accessories or embellish tutu’s and clothing. These satin rolled rosettes are fun to make and can be make in so many colours. 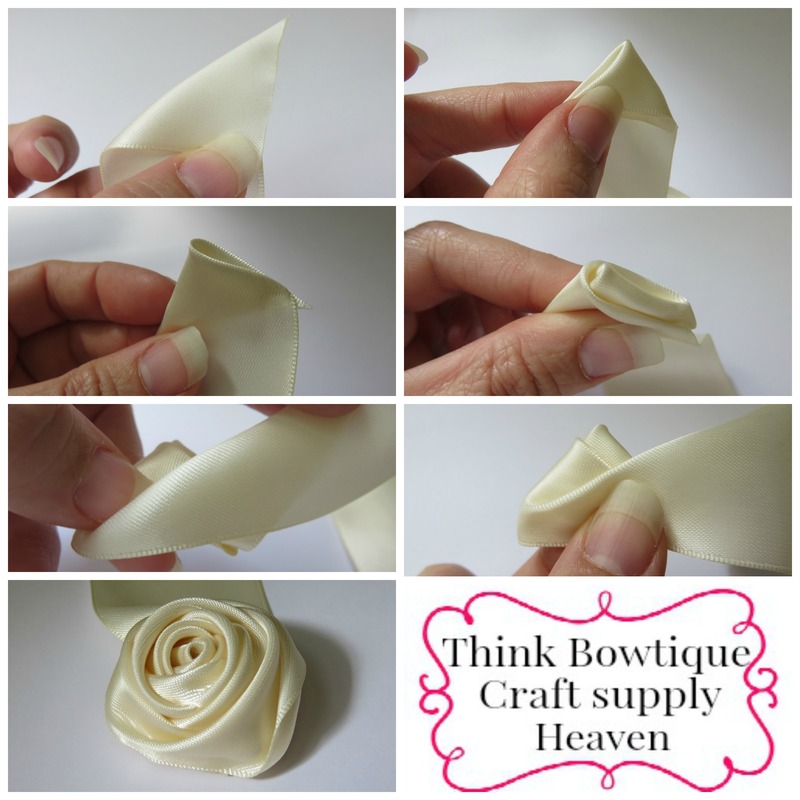 What you need to make a satin ribbon rolled rosette. 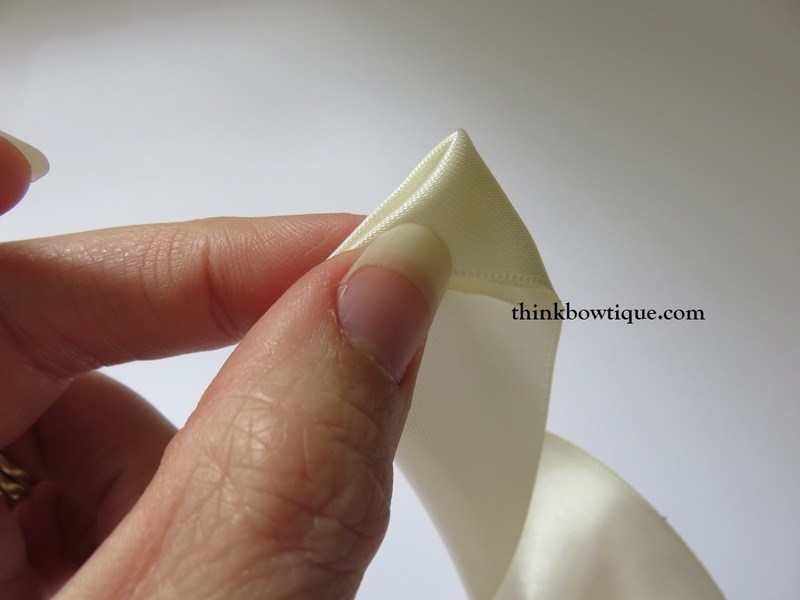 You will need to cut your satin ribbon to about 45cm. Longer will make a larger flower. 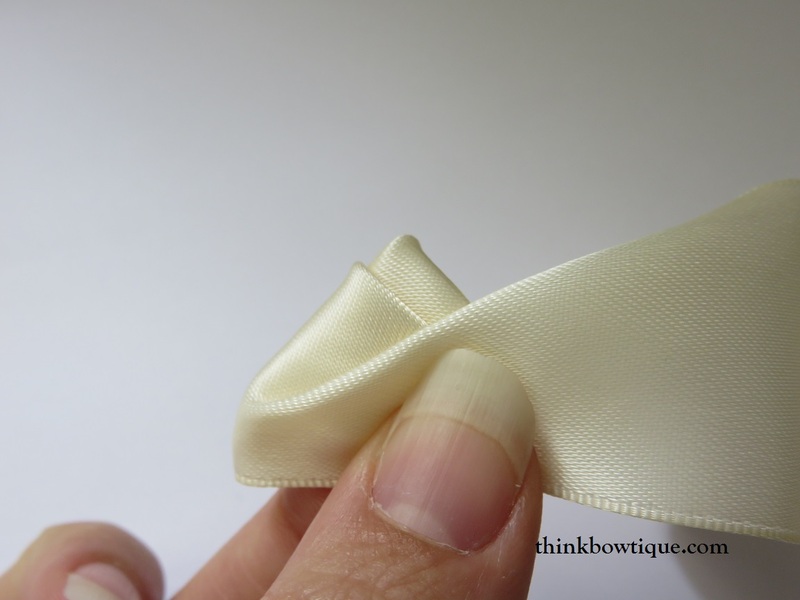 Seal the ends of your ribbon with a lighter. If you have not done this before. You hold the flame close to your ribbon but you do not touch the ribbon. You will see the edges melt a little sealing the edge. 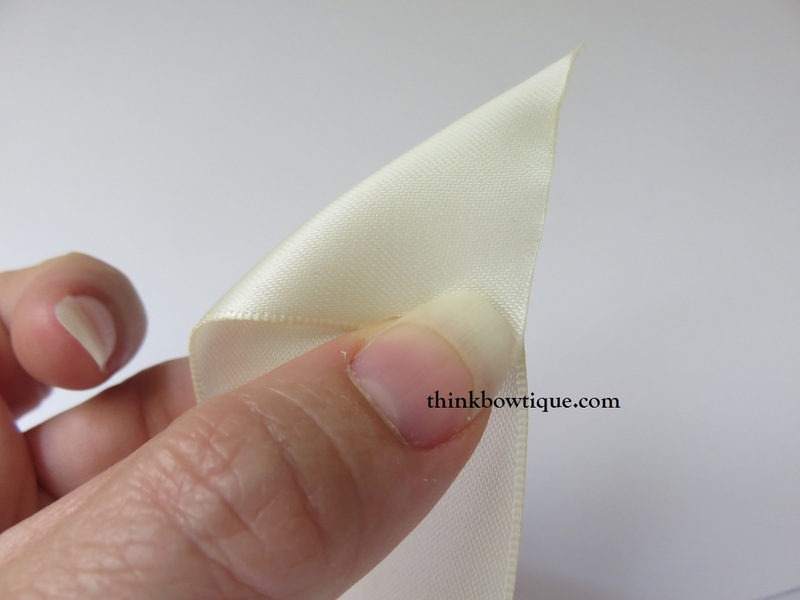 Fold the end of your ribbon to create a triangle. Dab a dot of hot glue inside the corner. 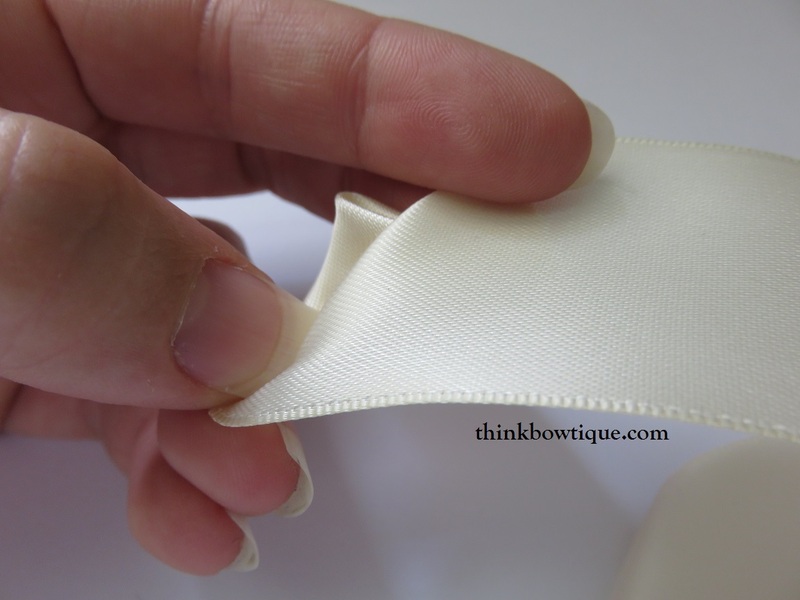 Now fold your triangle in half to create a smaller triangle and again put a dab of hot glue. Now your point is the top centre of your flower. Now with your point facing up, hold the left corner and pull your ribbon so you have a folded edge in the centre and the edge of your ribbon in a straight line along the bottom of your flower. 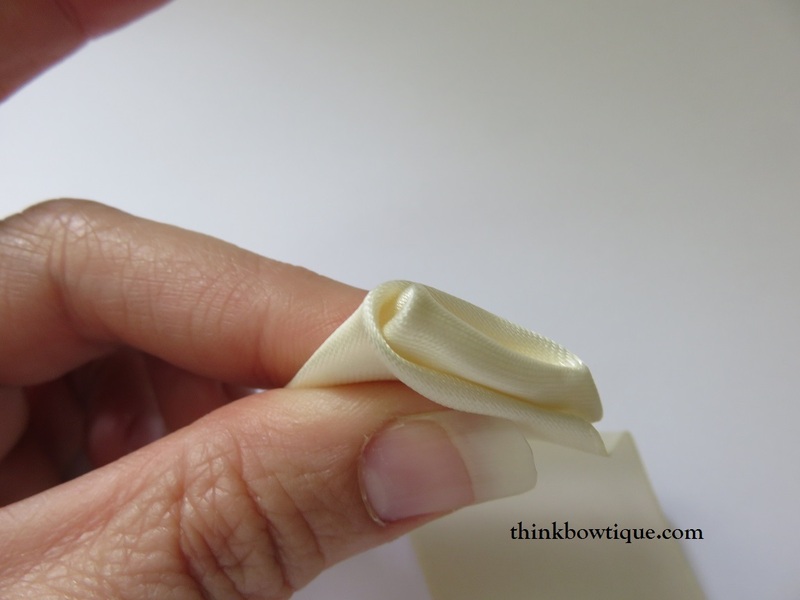 Fold the top edge of your ribbon (where my finger is) over the top of your flower and down to the bottom on the other side of your flower. Again hold the left bottom corner of your flower and pull your ribbon up to create a fold edge in the middle and bring the bottom edge of your ribbon so it sits in a straight line along the bottom of your flower. Just keep doing that until you get to the size flower you would like. 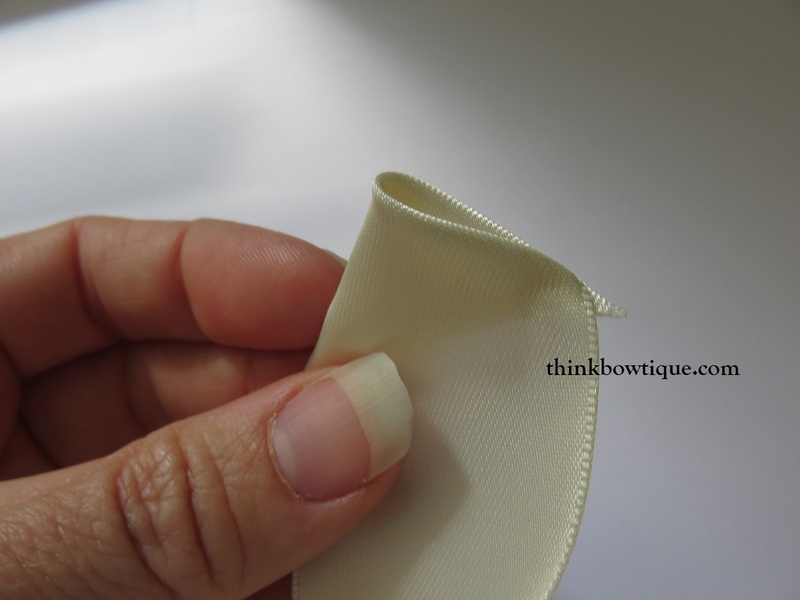 Once you have made the flower the size you would like you can fold the end under your flower and trim the ribbon. If you are making a flower bouquet than you might like to keep the ends and tuck them under the other flowers. You can find double sided satin in lots of pretty colours on our website to make a rainbow of flowers. 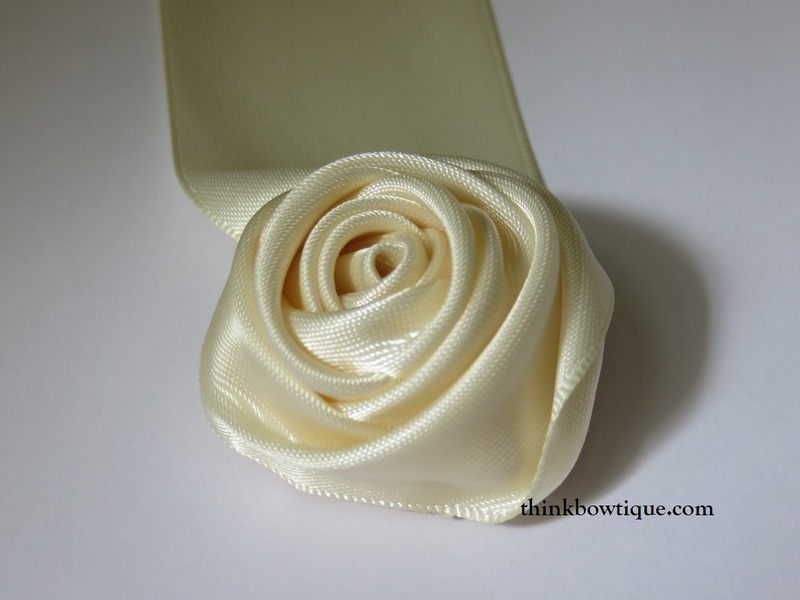 If you liked our satin ribbon rolled flower you might like the Make satin ribbon roses. Thank you for taking the time to read my tutorial on how I make these pretty satin ribbon rolled rosettes. Is you would like to share on your page please link back to this page.